Victor Azar has closed his Cafe MAC at the Northwest Museum of Arts and Culture in Browne's Addition to focus his business efforts on his Victor Foods products and catering company. 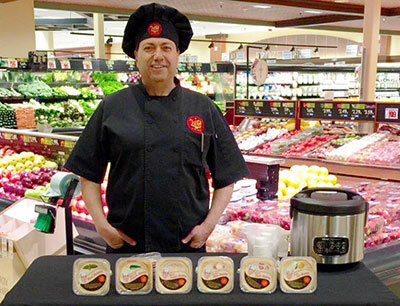 He is expanding his business and will be traveling and promoting his products throughout the Northwest. Victor Foods includes a line of various flavors of hummus which are lower in fat and calories than most national brands. He also has a new product, Jadra, a Mediterranean comfort food of lentil and rice pilaf which is gluten and dairy free. The products are available now at Rosauers and Super 1 Foods stores. You can get more information at victorfoods.com. Hundreds of homes for sale will be open to the public this weekend, as part of the Spokane Association of Realtors' eighth annual Open House Weekend, April 23-24. This year, visitors may enter to win a grand prize of a $1,000 VISA gift card (one entry per person, per house; over 18 only). Bank of America sponsors the event. With Interest rates still historically low and demand high, Realtors predict that sellers who open their homes will see traffic from serious buyers during the weekend. Local Realtors will be promoting the event widely through newspaper ads, social media outlets, community meetings and their websites to make sure the public is aware of the weekend activities. Most participating homes will be open both Saturday and Sunday 9am to 5pm. The public is encouraged to check SPOKANEOPEN.COM for times and locations. Each open house will be marked by blue balloons with the trademark Realtor 'R'. A Realtor will be on hand at every home to welcome visitors and to answer any questions. Be sure to enter the grand prize drawing at each open house you visit. The winner will be drawn and announced on May 4. This coming Tuesday from 3:30 to 6:30, you're invited to experience the new in-house catering service at Spokane Valley's Centerplace, headed by chef Adam Hegstead. You can meet the chef and his team, and taste signature dishes from their menu. For more information, call 509-688-0300. Fast food is taking over some long time Spokane business locations on North Division. Carl's Jr. is set to build a restaurant at the former National Furniture site at Sharp and Division, as soon as the furniture store finishes its liquidation sale and now, Ressa's Shoe Service, a family business which has been in the 1800 block of North Division since the 1930's has moved to 20 E. Indiana to make way for a Sweeto Burrito location later this year. Ressa's Shoe Service, run by Greg Ressa, is a full-service shoe repair business. They also sell shoes, work boots, orthotics and other insoles as well as shoe accessories like laces, polishes and more. Ressa's also repairs other leather items like handbags, sports equipment, brief cases and more. The phone number is 509-327-4190 and the website is ressasshoeservice.com. Meg Demand, a longtime Spokane area resident was recently hired as the Director of Corporate Business Development at Positive Changes Hypnosis in Spokane. One of her main goals will be to partner with local businesses in an effort to become part of their company's health and wellness programs to help employers have a healthier workforce. She brings a past experience of pharmaceutical sales, operation management, and an MBA from WSU in Executive Management. Positive Changes is the nation's only network of behavior modification centers using powerful personal coaching backed up by hypnosis to help you lose weight, stop smoking, manage pain, reduce stress, accelerate learning, improve sports performance and much more. Founded in 1987, the Positive Changes network has led the nation in successfully helping our clients accomplish the specific behavior and lifestyle changes they desire. The four northwest Positive Changes Hypnosis centers are owned by ET Research Inc., a local, 100% employee owned company, founded in 2002 by Tanya and Hubertus Guenther. The address is 220 W. Francis Ave. Ste 1, and the phone number is 509-242-2782. Volunteers of America of Eastern Washington & Northern Idaho has announced that Fawn Schott has been named the human service charity's new president and CEO, effective May 2. She assumes leadership duties from Marilee Roloff, who will retire this summer after more than 30 years with the local charity. Schott currently serves as director of programs for the Family Impact Network of Spokane, which partners with the State of Washington's Children's Administration to provide resources and services for vulnerable children and families in eight counties in eastern Washington State. She previously served as general manager of grant funded programs for Goodwill Industries in Spokane. A former teacher, Schott taught Spokane-area middle schools before earning a Master of Science degree in project management from Washington State University and beginning her career in social services. Modern Electric Water Co. has hired Marie Opsahl as the human resources and executive assistant to the general manager. She was previously with the Oregon-based Eugene Water & Electric Board. It's that time of the year again. 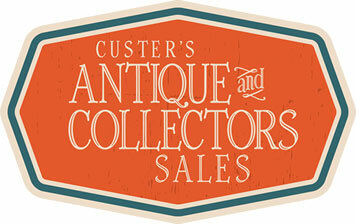 Custer's 41st Annual Spring Antique & Collector's Sale is at the Spokane Fair & Expo Center April 22-24. This is the largest indoor Antique & Collectors Sale of its kind in the Inland Northwest with 150 Dealers participating from all over the west coast. Shop among thousands of vintage treasures including: Kitchenware, Industrial, Estate and Costume Jewelry, Furniture, Primitives, Rustic Garden, Elegant Glass, Shabby Chic, Prints, Retro and more. 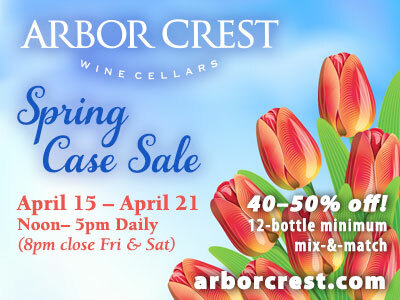 Hours are Friday 4-9pm, Saturday 10am-6pm, and Sunday 10am-4pm. Admission is $6 for adults (cash only), good all weekend. Kids 12 and under are free. The long anticipated second Spokane location for Trader Joe's is set to open on North Division this Friday, April 22 at 8am. The location is at 5520 North Division Street and hours of operation are Monday through Sunday from 8am to 9pm. The phone number is 509-487-4188. 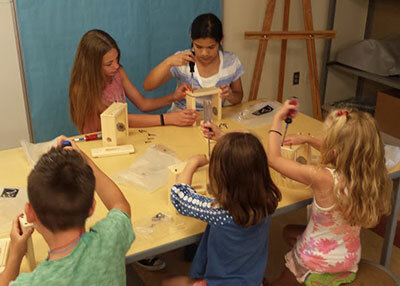 This year's summer camps at the Northwest Museum of Arts & Culture are where art and science meet adventure. Pick from seven weeks of all-day camps for first through sixth graders, from natural science camps, to adventure camps, to art camps. For more information and to register, visit www.northwestmuseum.org. Downtown workers and visitors are invited to get out downtown this week, April 18-24 and help our city center shine. Each morning at 10am, individuals or teams are urged take a few minutes to clean up an emphasis area accessible to them. Supplies will be available each morning from 10 to 11am at the Spring Clean tent located in Riverfront Park. Participants can register hours as part of Spokane Gives using the Volunteer Spokane website at www.volunteerspokane.org. Join Women & Children's Free Restaurant & Community Kitchen (WCFR) on Saturday, May 7 from 11am-2pm at The Davenport Grand for their annual Spring Tea. WCFR is celebrating 10 years of its fun four-course tea and silent auction that raises vital funding to help feed women, children and families in our community. Doors open at 11am and guests can bid on a wide variety of silent auction packages, participate in an interactive donation activity, enjoy mimosas, sip tea and check out all of the creatively decorated tables. The best decorated tables win a prize. Standard tickets for the Spring Tea are $50, or sit at a sponsor-decorated VIP Table for $85 and take away a gift valued at $50 or more. 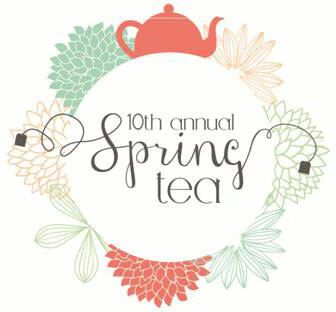 Visit springtea.org for tickets or call 509-324-1995 x303. WCFR's mission to fill nutritional gaps for women and children began in 1988 and the organization has become a pillar among social service agencies addressing hunger in Spokane County. Its programs provide scratch-made nutritious meals within the restaurant and at eleven partner organizations. 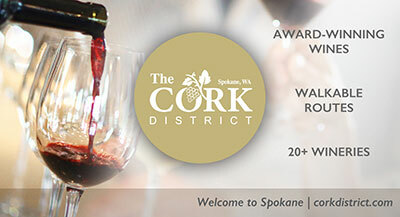 wcfrspokane.org. INB has announced the hire of new Chief Technology Officer and member of the Senior Management Team, Eric Landon. He joins INB from Skagit Bank, headquartered in Burlington, Washington where he served as their Chief Information Officer for the past 20 years. INB recently merged with the Bank of Fairfield, increasing their overall asset size to $610 million. As such, INB has committed to investing in new technology that will strengthen their internal communication infrastructure, enhance external service delivery, and increase operational efficiency. While at Skagit Bank, Eric managed an IT team that serviced their nearly 200 employees, 12 locations, and more $852 Million in assets. The community recognized the Armed Forces Persons of the Year on Friday at Greater Spokane Incorporated's Let Freedom Ring 60th Anniversary event. Congratulations to each of the following selectees and all of the nominees. Nominations were solicited from each branch of our armed services and the candidates were interviewed by a group of volunteer judges. Selectees were chosen based on their leadership qualities, responsibilities and accomplishments, education and training, decorations, awards and honors, community involvement, and civic activities.